Fulton entrepreneurial students have enhanced their college experience by studying abroad at universities in Israel, England, Ireland, Spain, and other centers of global innovation. GCSP combines innovative curriculum and cutting-edge research experiences into an intellectual fusion that spans academic disciplines and includes entrepreneurial, global, and service learning opportunities. ASU EPICS team designs, builds, and deploys systems to solve engineering-based problems for charities, schools, and other non-profit organizations in Phoenix and around the world. GlobalResolve creates business ventures from engineered solutions to provide sustainable economic development to underserved communities. The InnovationSpace Capstone program provides a year-long opportunity for senior-level students to complete a real-world product-development project using the integrated innovation model. eProjects bring students of all levels together with industries sponsors to find innovative solutions to real-world problems. In-depth application of entrepreneurial concepts including opportunity recognition, value creation, and new business management. A graduate level course that covers the fundamental principles and concepts of technology entrepreneurship. A graduate level course that covers strategies, techniques, practices of process, products, and management innovation across the enterprise. Graduate level course focused on social, economic, and technical models of the enterprise with emphasis on the management of technological resources. A graduate level course that provides knowledge of innovation, entrepreneurship practices, and experience in the application of engineering systems innovation within an entrepreneurial setting. 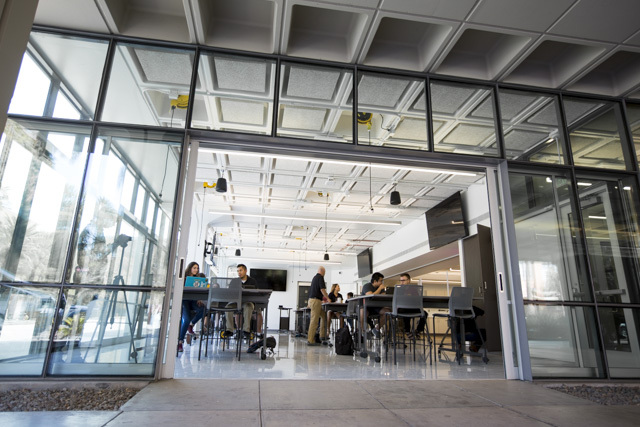 A groundbreaking program designed to help ASU students launch a startup in the heart of Silicon Valley. The ASU-Draper University partnership introduces Draper University’s Hero Training, all-star entrepreneurial speakers, and more.